Consider us a convenient, dependable, affordable one-stop service for your accounting needs. Our commitment is to become a trusted partner and to adjust to your needs. We do as little or as much as you want. Every business is unique, and your needs may change over time. We have the flexibility to expand with you as your business grows. 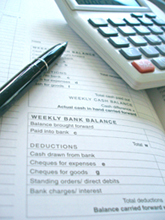 Bookkeeping: We’ll handle your accounting and provide you with complete, timely reports and financial statements. Or, if you prefer, we can show you how to set up and keep your own books. Payroll: We will set up a personalized payroll system that’s easy for you and complies with all government regulations. Taxes: Our licensed tax preparers can prepare your personal and business tax returns & quarterly estimates. Take advantage of our licensed consultant’s expertise and consult with her on upcoming tax issues, strategies, and planning. Business Advising: As trusted and knowledgeable advisors, we can help you avoid costly problems and identify profitable opportunities. We can be that sounding board you may need on occasion. Exclusive 33 point compliance check. If you are interested in getting involved with any of these organizations, please contact us or select the organization name for a direct link.